What has brought about the most marked scenic change in the parish over the last couple of centuries ? Perhaps the building of the railway ? Or the chalk pits and limeworks ? Local people who can remember many changes feel that the replacement of open downland by forested hillsides has been the biggest change. 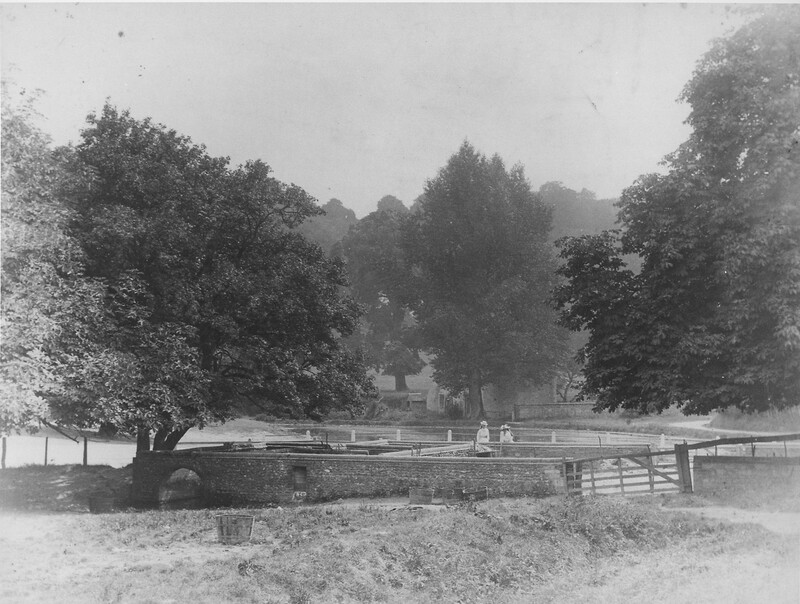 With the sale of parts of the Bonham Carter estate in 1927, War Down, Head Down and Holt Down were taken over by the Forestry Commission and trees planted from then on. Chalk turf is still present on Butser but, elsewhere along the downs, the need for home-produced food during the second world war saw miles of unfenced downland ploughed up for crops. Before the Forestry Commission took over the hills, sheep used to graze on the downs. Several flocks would be in sight of each other: most belonged to the Bonham Carters, but Mr Seward had a flock at Weston, sheep from Bolinge Hill Farm grazed land next to Sesden’s Lane and there would be sheep on Butser Hill from Oxenbourne Farm at East Meon. Most of the sheep in the area were Southdowns – a breed reckoned to have the finest quality meat of any breed. There would be thousands of sheep on the downs. They would crop the turf close, producing a lawn-like texture and ripping off any infant scrub before it could gain a hold. In the daytime, shepherd boys would take the sheep onto the hills to graze. They would be brought down to some of the uphill fields each night to where sheep folds would have been pitched during the day by the Head Shepherd and his men. A fold was simply an area of fodder fenced off by hurdles. It was often arranged so that the outside row of hurdles in the morning fold became the back row of the new fold in the evening. Swedes and turnips were grown in some of the uphill fields to feed the sheep in the mornings and, of course, the sheep helped to manure the fields. Sheep would be bought and sold at market in Petersfield, Chichester and elsewhere and there used to be big sheep fairs in the county in the summer months: an opportunity to buy young ewes to build up the flocks or perhaps a new ram. The Head Shepherd lived at Dean Barn and he would make lambing pens nearby – in a yard beyond the back garden. Mr Shergold was Head Shepherd for many years. 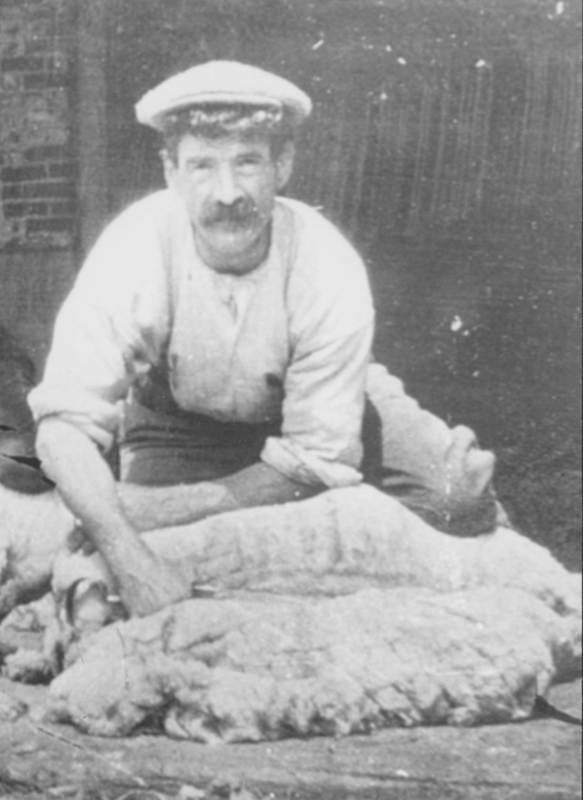 Other names associated with the days of sheep raising are Tom Marriner, Sid Collins and Ned Chitty. Lambing took place out of the village, but sheep shearing and sheep dipping were great events in the village. In June the flocks were driven down to the clays and were sheared in the barn at the Manor, in batches of 50. Mary Piggott (1911-1998) could remember shearers called Anthony, Wells and Tee. They charged ten shillings per score. All the shearing was done by hand and a shearer averaged forty sheep a day. In addition to payment, four or five gallons of beer was available in the barn at all times. The sheep also had to be dipped once each year to control pests and maggots. This took place in an enclosure opposite the pond and was another occasion which fascinated local children. There are still traces of the sheep dip left today, most notably the brick arch which leads to the piece of green by the chestnut trees. For dipping, the sheep would be run in from the road and put into a pen. Alan Rutter (1911-1990) remembered as a boy cutting and carting stinging nettles from the Carthouse Meadow (Heatherfield) to cover the ground in the pen. Apparently nettles didn’t stick to a sheep fleece like straw would have done. Sonner Legg can remember how the brickwork area was filled up with water from the pond and how two men would stand in there in wooden tubs, each with a long handle with a piece of wood on each side which they could push over a sheep’s head to duck it under. The sheep would be put through the dip and the two men would make sure that they went under a bar and into clean water before going out through an archway and into a field where they would be kept until they had dried off. And mushrooms grew a lot. Do you know any more about the days of sheep grazing on the downs or about any of the people who used to work with the sheep? 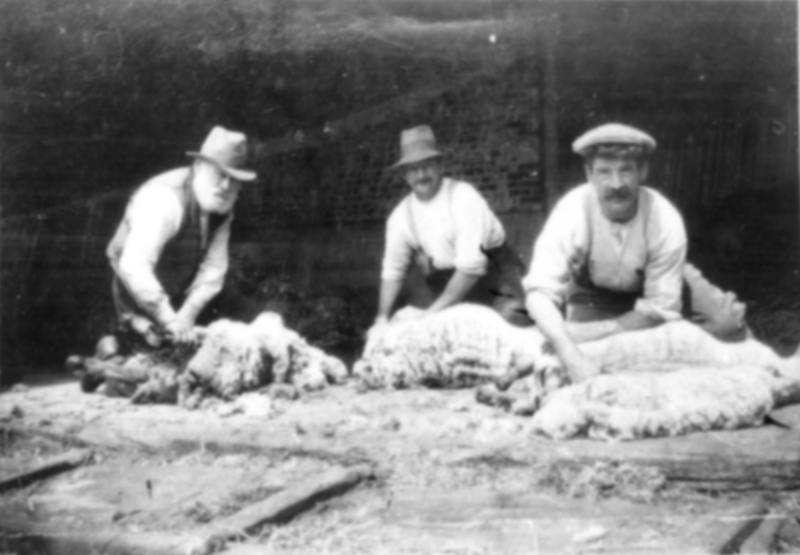 Do you have any old photographs of sheep rearing, dipping or shearing?